Hayo Baan's Photography Blog: Is your image metadata safe on social media websites? Is your image metadata safe on social media websites? As an artist/photographer you want to make sure people respect your copyright. To this end, it helps if you apply copyright information to the metadata of your published work. While this of course does not stop unauthorised use of your work, it at least makes it traceable. As it turns out, however, many popular social media websites we use to publish our work, strip the (copyright) metadata from the uploaded images. This is quite bad as this basically renders your work into an "orphan work". So all in all, if you are an artist/photographer you should pay attention to where (and how) you publish your work to social media websites. 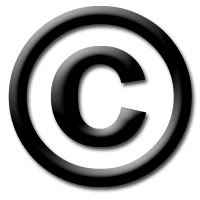 There are so many misconceptions about photography copyright. This post is extremely help in learning new things.